The holiday season is the most festive and joyous time of the year, but it’s also the busiest. With holiday parties, shopping for gifts and catching up with friends, I’m rarely home to receive a delivery and it’s a pain to reschedule a pick up or drive to the depot. 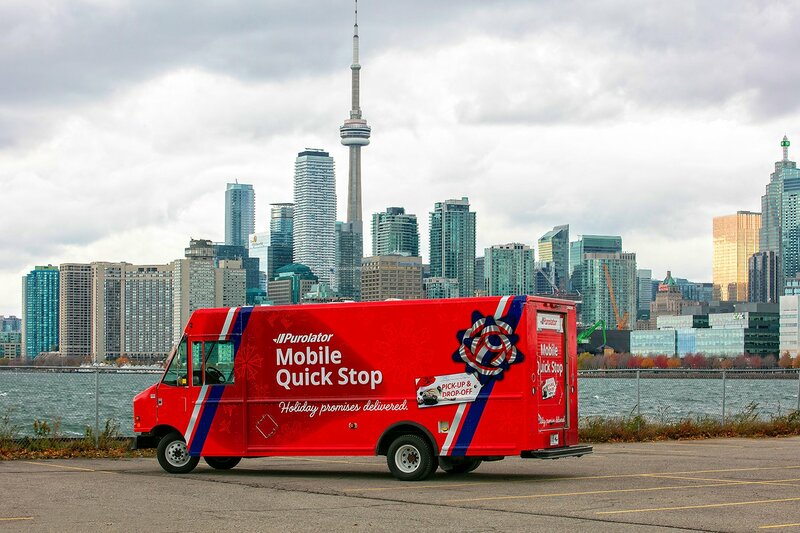 Purolator recently launched Canada’s first Mobile Quick Stop in Toronto, Ottawa, Montreal and Vancouver. The new trucks makes it easier to pick up and drop off packages during the busy holiday season. 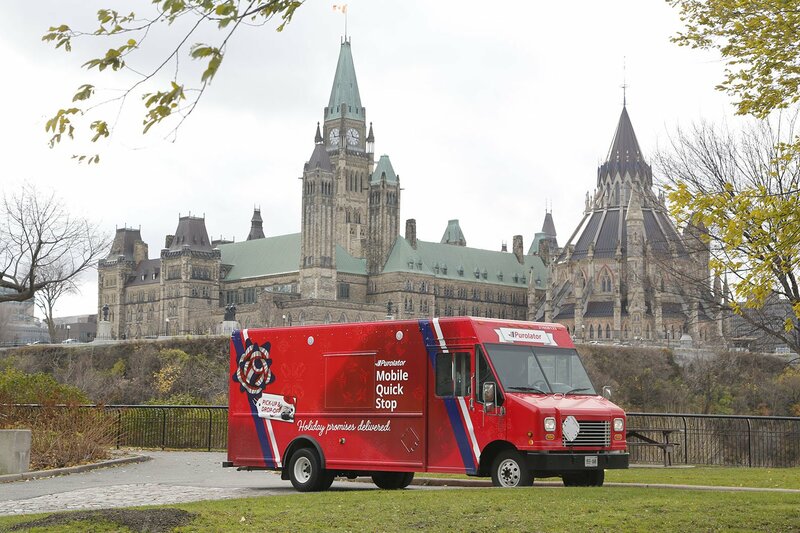 The ten Mobile Quick Stop trucks are located in central hotspots and shopping centres. The four Metro Vancouver Mobile Quick Stops are in Kitsilano, Ironwood Plaza, Coquitlam Centre and Big Bend Crossing. The trucks are open Monday to Friday from 3:00pm to 8:00 pm until the end of December 2018. 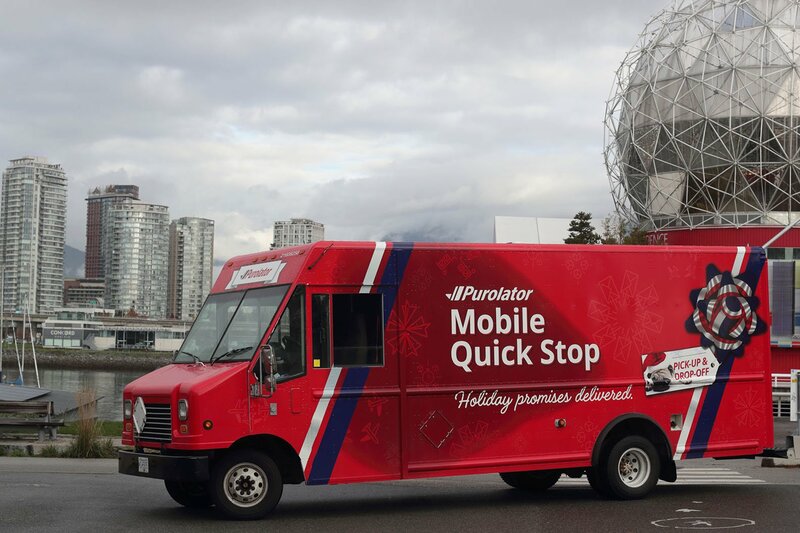 Last week, at the Kitsilano Mobile Quick Stop, I chatted with two Purolator customers. They like the convenient service because they can pick up their package after work or on their way to dinner. If you missed a delivery and live near by a Mobile Quick Stop, you’ll receive a door knocker letting you know to pick up the package at the nearest truck. 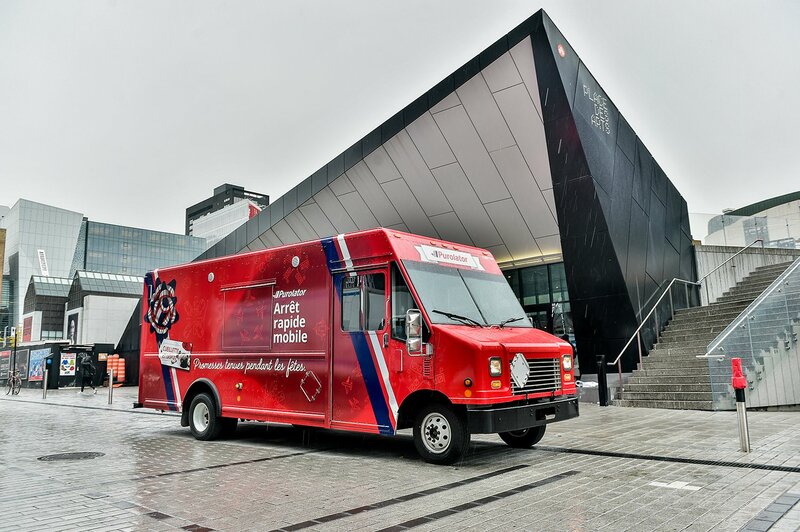 After a successful pilot program in Toronto and positive feedback from customers, Purolator plans to expand the service to more Canadian neighbourhoods in 2019. 1. Some countries restrict what items you can send in the mail. Pay attention to customs requirements before shipping food, batteries, liquids and plants. 2. Make it special by creating a unique unboxing experience by wrapping it in fun Christmas paper before putting it in a shipping box. When your friends and family open the box they will know to put the gift under the Christmas tree. 3. Use the correct size shipping box and filled the empty spaces with bubble wrap to protect your gift. Make sure the shipping label is easy to read and affix appropriate labels like ‘fragile’ or ‘heavy weight’. The four Metro Vancouver Mobile Quick Stops operate Monday to Friday from 3:00pm to 8:00 pm until the end of December 2018.